I actually cast my vote some time ago. For years (since California) I've done absentee ballots. I can't say enough good things about this way to vote! I got to spread out all my documents and sit at the kitchen counter with a snack while I filled out the ballot (had I not been pregnant, the snack would have been replaced with a glass of wine!). And while I felt a teensy bit jealous this morning when my husband drove off to his polling location (he got to experience all the election day hustle and bustle and excitement), I was glad to stay in my pajamas and watch the Today show while eating my Cheerios on the couch. Happy voting! 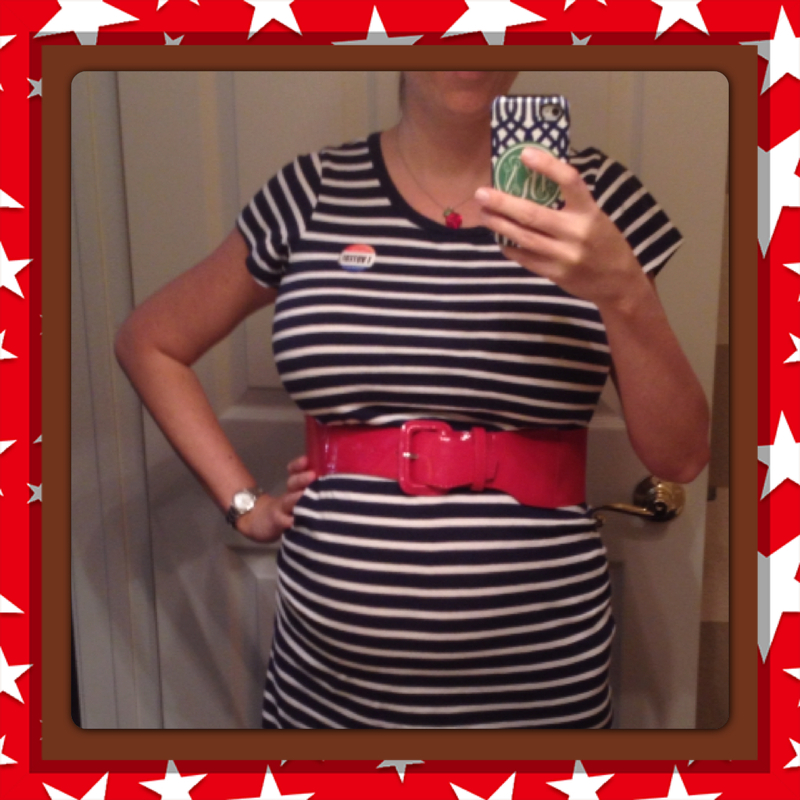 I did absentee too :-) the bump is lookin' good - can't believe how quickly time flies! I feel like it wasn't that long ago that baby was the size of a lemon! !